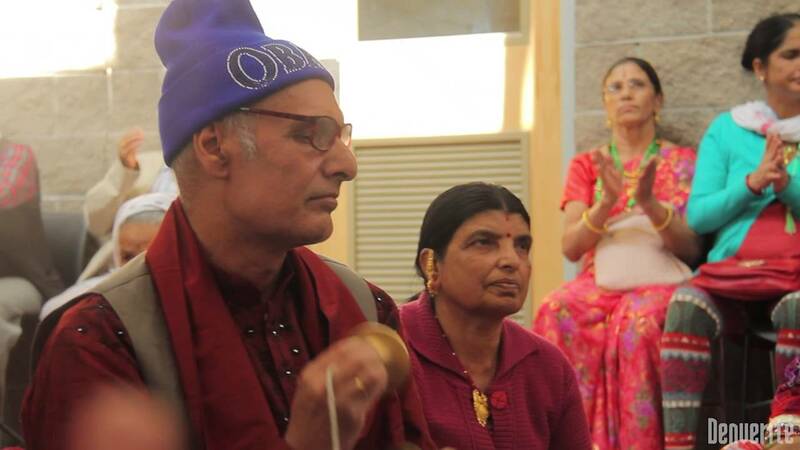 LOOK: Hindu prayers by Aurora's refugees - Denverite, the Denver site! Oct. 11, 2016, 6:58 a.m.
Leela Timsina is a leader in Denver’s community of ethnically-Nepali Bhutanese refugees. Today he’s making sure their Durga Puja, a week-long festival, hits its climax perfectly. His special guests have just arrived: Aurora Mayor Steve Hogan and Alexandria Wise, director of Community Enterprise Development Services, a nonprofit that specializes in finance for refugees. It’s normal to see Aurora city officials at a big festival like this, but this year Timsina has something on the line. He’s applied to sit on Aurora’s new Immigrant and Refugee Commission, an idea hatched by Hogan, and he wants to make a good impression. The commission is an attempt by officials to make sure Aurora’s some 80,000 immigrant residents – roughly 24% of the city – are represented in government. A formal international relations office was set up earlier this year, and that office will field issues raised by the commission. If Timsina gets a seat at the table he and his people will have a direct line to the Aurora Municipal Building. Hogan said that the commission will have in the neighborhood of 15 people on board. With 130-plus nationalities represented in the city, Timsina might be up against some competition. “We are trying to make a drastic change in Aurora,” Timsina said. His community has thrived in the US, but they have seen their share of hardships here. Suicides among Bhutanese refugees jumped after they relocated to the US, so much so that it caught the attention of the Center for Disease Control. Timsina thinks a lack of resources to help refugees transition into American society is the root of his peoples’ struggle to finally move past the immense hardship they’ve seen in the past 30 years. He’s hoping to push a plan that calls for more bilingual teaching assistants in schools, a way to ensure time at school is actually time learning. Hari Gautam, who’s translating today for the mayor, teaches math at Hinkley High School. Gautam says he sees despondent, isolated kids who haven’t transitioned well. “I see they’re like lost every day,” he said. Alexandria Wise, who works with all refugee communities in the metro area, said the single issue that unites the diverse population comes down to integration. She’s seen cases including former farmers who are too old to master English or former doctors whose licenses doesn’t hold in the US. No matter where they come from, everyone needs a little help adjusting. Timsina and Hogan are both betting that the pathway to better integration in society might be through better integration in Aurora’s civic center. The new commission is still in the works, but Mayor Hogan says it should be operational by January 1, 2017.